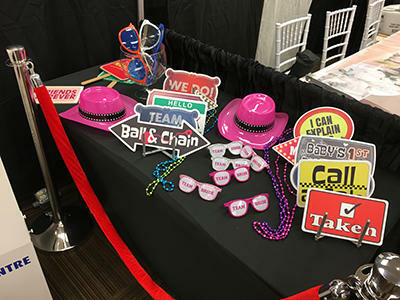 Table of Props: Fun hats, sunglasses, unique signs and more. 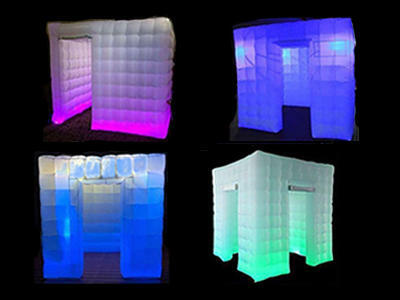 Our Photobooth setup comes complete with your own inflatable Photo Booth as a free add-on. Some people like the smaller footprint with just our photo machine while others love to select their favorite color inside our L.E.D. Cube! Our photo booth rentals are for 3 hours and come with a trained attendant so you can enjoy your event, party or, reception. 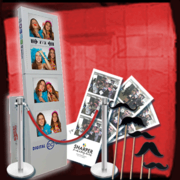 When you rent your Photo Booth from us you get the full service treatment! 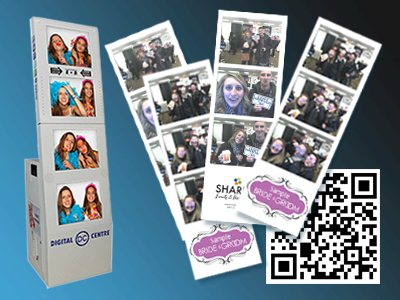 Our PhotoBooth comes with unlimited 2"x6" or 4"x6" prints. We even customize a logo for you so that our state-of-the-art touchscreens feature a customized look only to you. Every print will have your logo so users will walk away with special memories. PLUS- the QR code included on prints allow you to share across all social media or look at it later online. We include the ability of every user to record a 20 second video that you get at the end of the celebration.. Still more? YUP. You get every digital file in the end to do what you would like to do. Photo Booth props galore! We will bring the metal stanchions with red velvet ropes, the 4ft prop table with black covering and all the props you and your guests can handle. Our fun heavy duty signs are always a fun way to to make every shot be bombastic! FUN is the name of our game. Choose our rentals for your next party or event and we promise you will walk away with memories that will last a lifetime! Southern Maine loves our Photo Booth setups and rentals. Call to day for your next Photo Booth in Portland, Scarborough, Wells, and the Kennebunks.